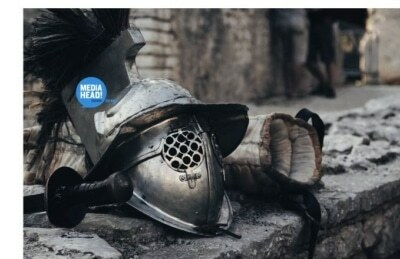 Have you watched The Spartans, 300, THOR, Gladiator? Well, we hired a Warrior. YES! 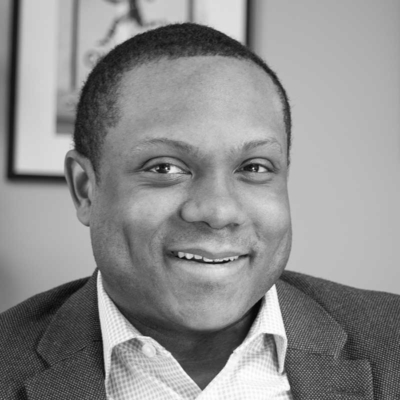 We are extremely excited to announce that LeRay WARRIOR has joined our team. He came to us from Capital One. He was formerly a Vice President of Commercial Cards. Previous to Capital One, LeRay was a Paychex Human Capital Management representative where he was a top unit producer and earned Level Three Diamond Club status. He was a conference qualifier every year that he was eligible, and Zone Rookie of the Year when he wasn’t eligible. I hope this tells you how driven Mr. Warrior is! LeRay will be working on business development, working to build current business relationships and acquiring new high level accounts. LeRay grew up in Kansas City and lives with his wife, daughter, and dog. He was a part of the University Academy first graduating class. You will be able to learn more about his experiences at University Academy next month in a blog post he is writing! We’re excited to have him with us! Please feel free to stop by, introduce yourself, send him an email Leray@mymediahead.com or give him a call and say hello at (816) 931-7900.
https://mymediahead.com/wp-content/uploads/2019/04/MEDiAHEAD-New-Warrior.jpg 440 679 MEDiAHEAD http://mymediahead.com/wp-content/uploads/2018/01/MEDiAHEAD-logo-green.png MEDiAHEAD2019-04-04 16:32:022019-04-04 16:32:02MEDiAHEAD has a new Warrior... LeRay Warrior! We are so incredibly grateful that Kat will be having her last treatment on March 8th and she will get to ring the Survivor’s Bell at KU Medical center. We will all be right there with her as she rings that bell! We’re so incredibly happy for her. 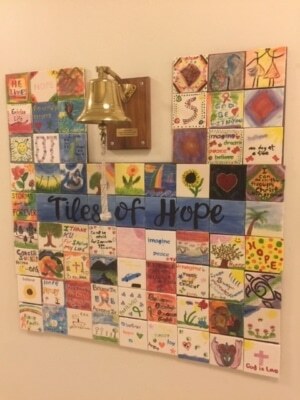 The tradition of ringing the bell after cancer treatment is such a significant moment – a point in time that signals the end of treatment and being cancer free. The bell is often referred to as a Chemo Bell or Survivor’s Bell. The videos of children and adults ringing the bell on YouTube are heart-warming…. Grace Rings the Chemo Bell at St. Louis Children’s Hospital. Bell ringing is now widespread among cancer clinics around the United States. The honoree rings the bell and often reads a wall-mounted poem alongside the bell. This event is intended to provide a sense of closure to a very, very difficult experience. If you haven’t come by to see Kat recently, please stop by to say hello and congratulate her on her upcoming bell ringing! Through her treatment, she has kept that incredible smile each and every day, even through the toughest of times. I literally do not know how she does it, she just does. We are so thrilled to be RINGING THE BELL WITH KAT!!! https://mymediahead.com/wp-content/uploads/2019/02/Ring-The-Bell-Kat-e1551376143832.jpg 640 480 MEDiAHEAD http://mymediahead.com/wp-content/uploads/2018/01/MEDiAHEAD-logo-green.png MEDiAHEAD2019-03-15 06:00:022019-02-28 11:53:40Kat Gets to Ring the Survivor's Bell on March 8th. We're so excited!!! The number of women-owned businesses in the US in 2017: 11.6 million, employing 9 million and generating 1.7 trillion in sales. Women-owned firms account for 39% of all privately held firms and contribute 8% of employment and 4.2% of revenues. The number of businesses owned by women in the US has more than doubled in 20 years and Kansas City is the 7th best US metro area for women to own a business. 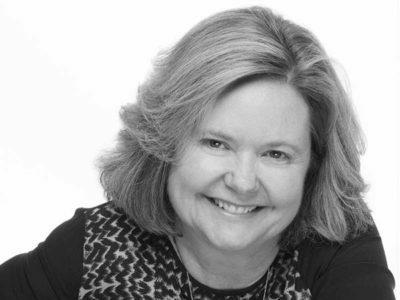 Kat McDaniel, Chief Innovator at MEDiAHEAD, began her career in print sales in 1980. At the time, she was the only female within the large web-printing company she worked for. One of the reasons she was successful was because being a woman helped differentiate her at that time. When she worked with women buyers….they treated each other as equals. Twenty-eight years ago Kat and her husband moved to Kansas City and bought a company called Fine Print, a printer that was closing because the owner was going to jail for counterfeiting.  Six years ago MEDiAHEAD split off from ColorMark as a separate company and she began to venture out into the world as MEDiAHEAD’s true decision maker. There was always a struggle over the years getting vendors and other printers to acknowledge her because women in printing were rare. When I asked Kat what her biggest obstacle has been with regard to being a woman-owned business, the first thing she mentioned was financing. The second obstacle has been finding employees who respected her for being a woman leader in a traditionally male business. The industry has changed considerably in the last 30 years – there are many female salespeople that work in the printing industry, but still very few owners. To this day, Kat is a well-respected leader in the Kansas City community and attributes her success to tenacity. She considers her greatest success the employees who work with her and the clients who have developed into sincere and meaningful friendships. I often refer to my project management career as my second career. When I first got out of high school, I worked as an aid for a hospital clinic, and eventually took a job in the labor and delivery unit as a scrub tech. As a scrub tech, my main job was to prepare delivery rooms and assist the physicians and nurses in the delivery. I anticipated their needs (such as handing them gloves, instruments, etc.) and potential problems. Most importantly, I made sure that the nurse or doctor had what they might need in case of an emergency. As I prepared rooms, I would often feel the eyes of the patient and family fixed on me as I pulled out everything we needed for the delivery and set things up in the room. Most of the time, those fixed stares were of first-time parents, wondering what they were in for. I would calm a lot of fears during this time, often explaining things and assuring them that everything was going to be just fine. As I transitioned into my second career as a Senior Project Manager at MEDiAHEAD, I learned that preparing a delivery room was a lot like project management. I’m routinely organizing projects and people. I anticipate problems and determine what we can do to make sure they don’t happen…or if they do, what we can do to fix them. But mostly, I’m here to calm fears. I assure clients that their baby, the project they’ve worked on for months, will be produced not only on time, but also within budget. And of course to assure them, like so many of the babies before them, that their project will be the most beautiful thing they’ve ever seen! Perseverance is not giving up. It’s persistence and tenacity. It’s giving the maximum effort required to do something…and keep doing it…until the end, even if it’s hard. The word “perseverance” originally comes from the Latin perseverantia and means to abide by something strictly. This makes a lot of sense when you think about it. If you’re doing something in spite of all the difficulties, you’re being strict on yourself. No one knows PERSEVERANCE better than Kathryn McDaniel! If you know her, you understand this. If you don’t, let me share a bit of her inspiring story and journey. 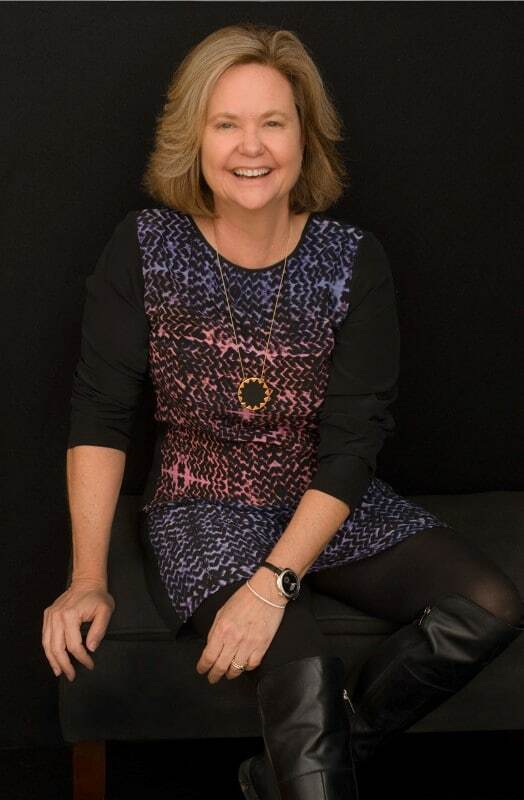 Kathryn began her career in print sales in 1980 at the age of 23, so to say she’s a seasoned veteran in the printing industry would be an understatement. Over the years, she’s given back to the Kansas City community in countless ways…donating printing to various organizations, going out of her way to attend events, and on and on. Kathryn is the busiest woman I know. She is dedicated to her goal of maintaining a healthy environment by being a leader in the print industry, all while maintaining her status as being 100% woman-owned and operated, with all the certifications to back her up, nationally as well as in Kansas and Missouri. MEDiAHEAD provides solutions to many of the well-known brands in Kansas City. Kathryn built these relationships over time and has kept them in large part due to her personal dedication to these accounts. She has fostered numerous healthy partnerships as evidenced by the testimonials we get from each and every client. Kathryn infuses our core values into each employee, encouraging them to seek opportunities that will provide cost savings for our partners, enable consistency in their brands, and reduce their cycle times. Each and every employee understands this and we live by these values. Kathryn is our rock! She’s been through some tough times both personally and with the business. Nothing keeps her down. She comes in each and every day with a smile on her face and will always laugh at our stories about our weekend or vacation escapades. She, in turn, makes you laugh at each of her stories. Kathryn is truly genuine and has a HUGE heart for each and every one of us. You can enter her office at any time of the day and she’ll always turn around with a smile on her face and welcome you. 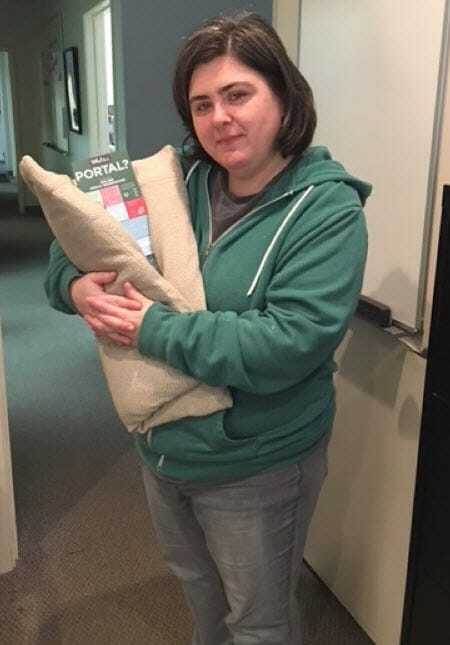 Each employee at MEDiAHEAD stays at MEDiAHEAD because Kathryn treats each employee as she would want to be treated. As a result, she has a team of dedicated employees who love their leader and want nothing more than to see the company succeed and continue to build her dream and success. And this is why all of that love matters, now more than ever. In December 2017 the entire team at MEDiAHEAD was crushed when Kathryn came into our annual Christmas party and told us she’d been diagnosed with Stage 3 cancer. The good news is that she had surgery and they successfully removed all of the cancer. The unfortunate news is she is going through immunotherapy for a year and there is a 50/50 chance it could come back. Let me tell you this. I’ve never seen a staff come together so closely, (we were close even before the news) but since, we’ve all pulled together and continue to get things done. We all are extremely passionate about our jobs, passionate about Kathryn, and we’ll do anything we can for her. Kathryn takes PERSERVERANCE to the next level…and we’re honored to be a part of her journey.